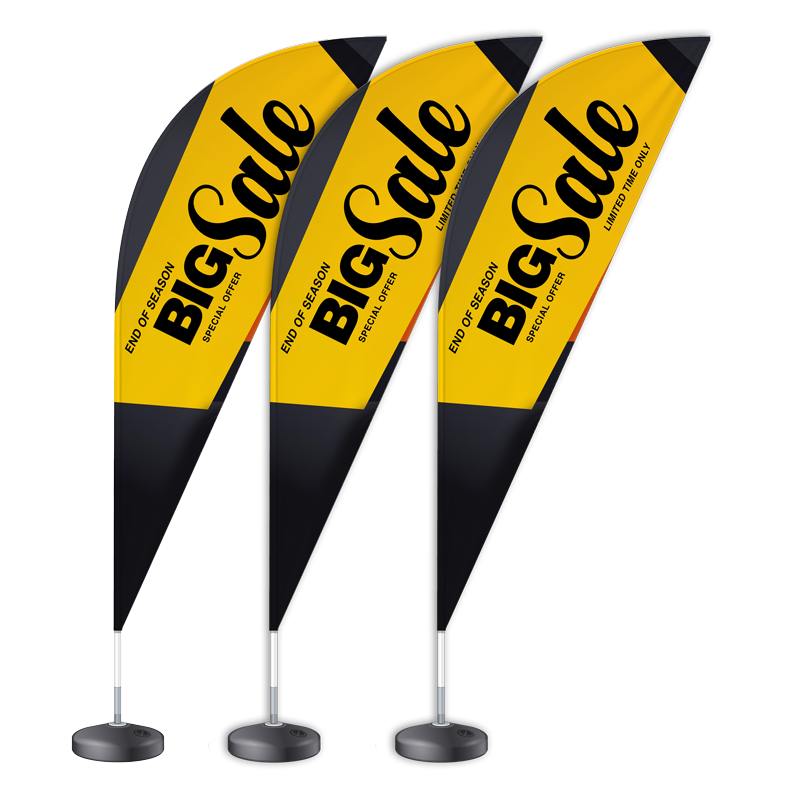 Intense Design manufactures sharkfin flags in two sizes, 2m and 3m in height. We advise not going for anything larger as they become to big to be practical. We also only supply our sharkfin’s double sided as we believe it is important that it can be read properly from both sides, it also strengthens the print to prevent fraying in the wind. We will print two beautiful prints and strongly stitch them together, back to back. This printed fabric can be easily folded when not in use and then just slides onto a compact pole when in use. When used for outdoors a spike is included but when there is no place for a spike eg. indoors, an additional cross base is needed.